Students who want to submit term end exam forms, the IGNOU has already started the term end exam from filling and submitting. 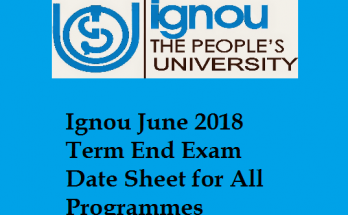 Students who already have submitted their assignments all are eligible to submit the IGNOU’s End Term exam form from the starting date, students can check the starting date and end date for filing the end term exam form. Students who don’t have completed their assignments it will be very difficult for them to submit IGNOU term exam form. 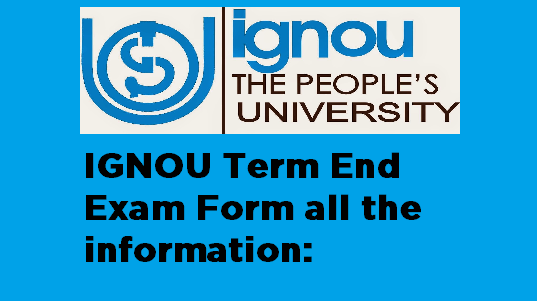 You can use several platforms for filling the end term exam form for IGNOU using the given information. 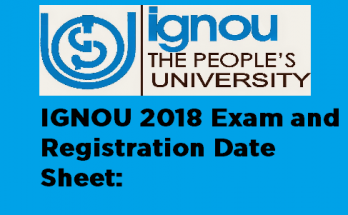 The starting date for filling the end term exam is reveled soon by the IGNOU, so be in touch with us because this content can provide you further all information about the end term exam. 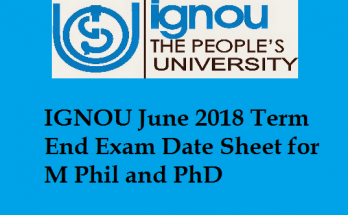 From the eligibility criteria to exam date you can know all the information about the end term exam form of IGNOU in the 2018 session. It is always essential for every student to fill this type of form for increasing their performance and knowledge. Students can submit their end term exam form within the dates of filling the form to end date of filling form; students have to submit all the required documents along with the given instructions for filling their end term exam very successfully. It is important to every student to fill this form carefully because this exam is an important exam for IGNOU. Open the official website of IGNOU. Then click on the student zone or end term exam form option. Select the particular option that you want to submit. Fill the form with all the information. Submit the form and take a print out of that. If your exam form is filled wrong then you can wait for 48 hours to get some instructions from the institute. Students can check their unsuccessful exam from. Students can re submit their exam form by taking some guidelines. You can get your exam form fee in some cases, but in all the un-successful submission of exam form. Students who are filling their exam form have to give some attention to fill their form exactly without doing any mistake, because this can harm your exam form submission. Like mentioned above your exam form can be unsuccessfully submitted so give more attention to filling the form carefully. Select program code with available option. Then you have to select the center code available. Submit the form and get the print out. Thanking you for watching our site and reading our article. We promise that we will issue more details in our latest updates before long.